I am not here to tell anyone what to do, I am not a doctor, I have no medical training, it's your child and your decision. Please consult with a medical professional that you trust to make such decisions. This post is merely meant as a resource for parents that care enough to research first without blindly doing something because 'everyone does it' or 'experts' endorse it as safe - just as doctors endorsed x-rays for pregnant women and smoking back in the day. While parents who decide not to vaccinate are usually college-educated people with above-average salaries, I believe the tide is also shifting to include all kinds of parents from a variety of income brackets to question the science behind vaccines and the claims from the manufacturers themselves. More and more people know someone who has been vaccine injured, so it is only logical to question the safety of vaccines. Also, more parents now actually take the time to read the manufacturer's inserts, you know, just to see what's injected into their kids. Most are surprised at what they read. Parents have every reason to question vaccines because the government branches that are supposed to lookout for the health of the people, the CDC (Centers for Disease Control) and the FDA (Food and Drug Administration) are simply put - 'in bed with' the billion dollar vaccine industry. So are vaccines safe? All I can do to answer that question is provide you with some information. There is plenty of information on the alleged benefits of vaccines on government and medical establishment websites. Let's reiterate that, government and medical establishment websites. As in, the same government that is financially invested in the success of vaccines and is closely tied to vaccine manufacturers to the point that they are nearly one and the same. Former employees of vaccine manufacturers work for CDC and the FDA, and vice versa. The very people that decide which vaccine will be injected into children all over the nation have huge conflict of interest and ties to vaccine manufacturers (more about that here and here). What about unbiased information? Safety studies that are not conducted by the vaccine manufacturers themselves? Studies that pose no conflict of interest? There aren't many, because it's not in their financial interest. To start with, one of the main reasons vaccine safety can and should be questioned is that there are no long term independent studies on vaccine side effects or safety. None. Nada. Zilch. If you can point me to one, please do. But all I've found is doctors' statements on the absence of such studies and nothing on the CDC website. Most studies are both sponsored by the manufacturers and are short term, neither of which has the interest of your child in mind. 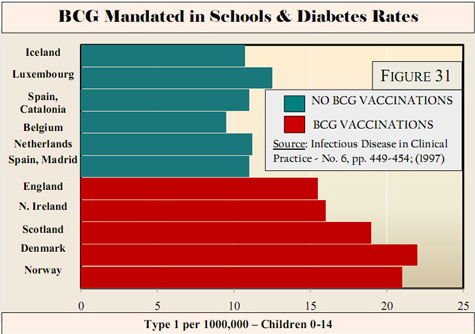 Moreover, giving the same exact vaccine dose to every child regardless of their weight, medical history, genetic predisposition, and other individual considerations can hardly be considered safe or logical. Everyone knows that vaccines have side effects, it's no secret. It is estimated that only about 10% of these are reported to the VAERS database. It is up to you to decide if you are willing to risk serious potential side effects for the 'greater good' or if you are willing to risk the chance of an infectious disease. Either way there are risks. 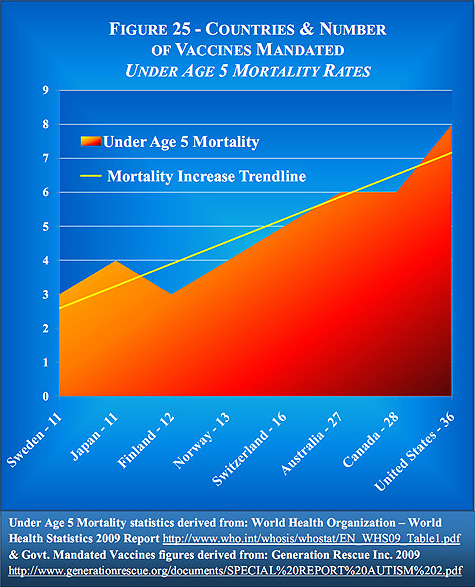 The following graph shows the correlation of the mortality for children under age five and the number of vaccines on each country's recommendation list. This is perhaps the most compelling evidence to question the safety of vaccines and the sheer number of recommended doses. It is also common knowledge that vaccines are not 100% effective. While it isn't always possible to pinpoint the effectiveness percentage, it varies anywhere from 25% to 95%. (a, b, c, d, e, f, g) In the case of Gardasil, an HPV vaccine mainly targeted at girls, the lead vaccine developer actually admitted Gardasil and Cervarix do not work, are dangerous, and haven't been adequately tested. "Dr. Harper explained in her presentation that the cervical cancer risk in the U.S. is already extremely low, and that vaccinations are unlikely to have any effect upon the rate of cervical cancer in the United States. In fact, 70% of all H.P.V. infections resolve themselves without treatment in a year, and the number rises to well over 90% in two years. Harper also mentioned the safety angle. All trials of the vaccines were done on children aged 15 and above, despite them currently being marketed for 9-year-olds. Vaccines were developed before many advances in modern medicine and current eye-opening research about the complexities of the human body, yet they still function on basic assumption from nearly a century ago. "The theory behind vaccines is that they mimic infection by spurring B cells, one of the two major types of white blood cells in the immune system, to produce antibodies as part of the adaptive immune system. It is widely believed that these vaccine-induced antibodies, which are part of the more specific adaptive immune system, teach the immune system how to directly respond to an infection before the body becomes exposed to it. Most vaccines contain aluminum as an adjuvant to increase immune system response. It has never been adequately studied for safety and it's affects on the brain of young children have safety concerns. For a mother, waking up to find your baby blue and not breathing is probably the worst nightmare. The definitive cause of SIDS is not known but there are many theories. Nobody can say for sure if toxins in mattresses or vaccines are partly to blame. Babies are surrounded by environmental toxins, including vaccines, and there is really no way to pin-point just one cause. 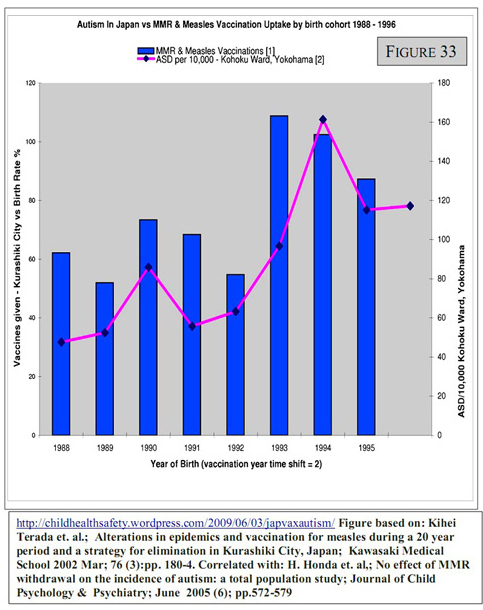 "JAPAN In 1975, about 37 Crib Sudden Deaths were linked to vaccination in Japan. Doctors in one prefecture boycotted vaccinations, and refused to vaccinate. The Japanese government paid attention and stopped vaccinating children below the age of two years. 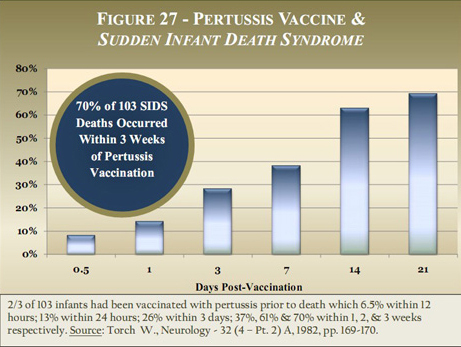 When immunization was delayed until a child was 24 months of age, Sudden Infant Death cases and claims for vaccine related deaths disappeared. Japan zoomed from a high 17th place in infant mortality rate to the lowest infant mortality rate in the world when they stopped vaccinating. Japan didn't vaccinate any children below the age of two years between 1975 and 1988, for thirteen years. But then in 1988, Japanese parents were given the choice to start vaccinating anywhere between three months and 48 months. The Ministry study group studied 2,720 SIDS cases occurring between 1980 and 1992 and they established that their very low SIDS rate quadrupled." - Scheibner, Viera, Ph.D. The first vaccine all newborns receive at birth in the United States is the Hepatitis B vaccine. The Hepatitis B vaccine is perhaps the most controversial of all. Contrary to public belief, it isn't necessarily a deadly disease as it is portrayed. "Infants who contract hepatitis B, either from their infected mother or infected blood transfusions, are at highest risk for chronic infection. But for the majority of healthy teenagers and adults, who come down with hepatitis B infection, symptoms include nausea, vomiting, low grade fever, pain and swelling in the joints, headache, and cough for two weeks before the onset of jaundice and enlargement/tenderness of the liver that lasts for three to four weeks. Fatigue can last up to a year but "most patients do not require hospital care" and "95 percent of patients have a favorable course and recover completely" with the case fatality ratio being "very low (approximately 0.1 percent)" according to Harrison's Principles of Medicine (11th Edition). It's a known fact that just like a virus, vaccines weaken the immune system. The problem is that in addition to a virus, vaccines contain many toxic ingredients that further weaken the immune system - something absent in a real virus scenario. 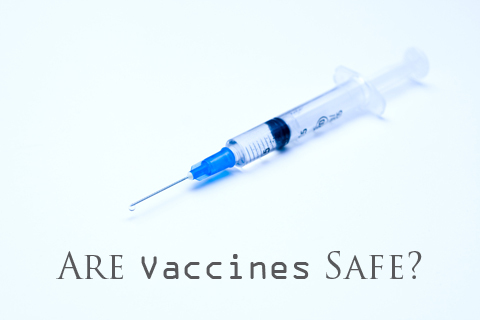 Every vaccine insert will warn that it shouldn't be injected into a person that is currently ill or has a compromised immune system. Manufacturers know this, doctors know this, yet often they fail to follow these guidelines and children needlessly suffer as a result. Assaulting an immune system that's already working hard to fight whatever it is the body is dealing with, can end up like this. "All vaccines are immune suppressing, meaning they affect immune function for a period of time and can make some people more susceptible to coming down with a viral or bacterial infection.. The chemicals, adjuvants, lab altered viruses and bacteria and foreign DNA/RNA from animal and human cell substrates in the vaccines may compromise immune system function and depress immunity -- that is the trade-off you are risking. The conventional belief is that it is acceptable to exchange this small overall immune suppression for immunity to one infectious disease. However, remember that this means you're trading a total immune system suppression, which is your main defense against all known disease -- including millions of pathogens -- for a temporary immunity against just one disease. While we are seeing a decrease in infectious diseases and huge advances in treating them to minimize lethal outcomes, as a nation we are sicker than ever before. Children are chronically ill. Autoimmune diseases are on the rise. Cancer, asthma, allergies, ADHD, autism, rheumatoid arthritis (even in children), diabetes... How do we know vaccines are not the cause of the rise of autoimmune diseases? If you are not aware, the government does have a way to track adverse reactions to vaccines with the VAERS Database (the government website is near impossible to search, this is an easier MedAlerts database search engine). Vaccine Injury Compensation awards $250,000 for the death of an individual following a vaccine or more to cover lifelong medical bills for those injured/brain-damaged. Over the years about $1.5 billion dollars has been paid out to vaccine injured families. But compensation is tough to get and parents have to fight the system for years. Since vaccine manufacturers take no responsibility for their products and are protected by our government, it is your responsibility to make the decision for your child. You are liable for side effects, even if deadly, and you are liable if your child contracts an infections disease. The difference is that the latter is out of your control and the former is not. Something tells me that parents would be a lot more open to vaccinations if the ingredients were not so questionable. Is it impossible to produce vaccines without aborted fetal cells, formaldehyde, aluminum, Polysorbate 80 (producing infertility in animals), thimerosal, etc.? At such a massive scale, maybe not. It may be just my opinion, but it seems all the side effects of vaccines are more so from the toxic ingredients - not so much from the viruses they contain (although that's up for debate). The questions parents have about vaccines are all legitimate and I wish our government, doctors, and scientists would actually listen to these questions. When a mother witnesses her perfectly healthy baby wither and die within hours, days, or short weeks post vaccination - nobody dare tell her it was a 'coincidence'. She has every reason to conclude the vaccinations caused it. We cannot ignore these mothers just as much as the mothers whose children die from infections diseases that vaccines can possibly prevent. When will we start treating children as individuals and not a herd? How can we create a simple, inexpensive test to determine if a child has a genetic predisposition to a serious adverse reaction before making an injection? When will doctors stop vaccinating children who come to the office sick, resulting in more serious adverse reactions? When will pediatricians stop the name calling, harassing, and downright violence against parents who question vaccines? When will the massive conflicts of interest between the pharmaceutical companies and those who make vaccine schedule decisions be resolved? When will long-term independent vaccine safety studies be conducted? With the information available, it's up to you to decide, I know it is not easy. While I have a very strong opinion on the subject, I shared as little of it as possible as I don't want my opinion influencing yours. Vaccines do not have to be all or nothing. We are all well aware that the number of recommended vaccines has skyrocketed and that itself is reason to worry. I suggest approaching each vaccine individually to first decide whether you need it for your child, then possibly find a single-dose vaccine manufacturer of that particular one. In case of a serious reaction (other than the usual redness, fever, etc.) you will know exactly what caused it. Remember that you can always decide to vaccinate, but you cannot un-inject your baby once you go through with it. This post is just the tip of the iceberg when it comes to vaccines, not even. You will never be able to find, read, and analyze all the information. Neither can a doctor. That is something you need to make peace with. If you are religious and/or believe in God at all, I also suggest praying for guidance, we may not know all but He certainly does. For more information see the NVIC portal and please watch The Greater Good and visit their Catalogue of Science for further reading. We are all adults, please keep the comments civil, if not politically correct. No bashing or name calling please. Please share with us your opinions, stories (both of adverse reactions and 'vaccine preventable' diseases), sources, etc. How did you decide whether to vaccinate your children or not? A friend of mine and I were just talking about this today. It is so scary making decisions to keep children healthy. From vaccines to bpa to exposure to chemicals in food and GMOs...i'm pretty much terrified. lol. But say you were to decide not to vaccinate your child. Do you just tell your childs doctor no..and can they refuse treatment etc? What about the issues that arise for school and sports etc that require shot records? Well said!!! It is overwhelming to grasp everything about vaccination. All i can say that i did my research and i decided to stop vaccinating both of my kids and my third one is completely vaccine free. Difference is no eczema compare to my other two, recovering just fine from getting cold only twice during 17 months. My other two don't get sick as often as they use to. I do think sometimes what i would do if we would move or travel to a foreign country without vaccination, what would happen. At this point in my life i don't regret not vaccinating and im really firm about my opinion. Glad to find a doctor who respect me well. Yeah, sometimes I feel guilty that my kids are healthy, save for a cold once or twice a year - which is good for strengthening immune system. lol Of course not all vaccinated kids have health issues, but the overwhelming majority of the ones I personally know - do. Recurring ear infections, asthma, just constantly being in and out of the doctors office. My doctor is surprised we don't ever come inbetween well-visits/physicals. I can only attribute that to an immune system that has't been assaulted with so many toxins all at once. There are some vaccines that we *might* consider if we travel, but even then, I'm not sure. I'm afraid it would actually weaken the immune system and make them more susceptible to catching something. I would focus on naturally strengthening the immune system. Thank you for your comment Luda! I realize I will most likely be in the minority of blog readers as I write this, but I just had a few comments on this post. First- I love your blog. 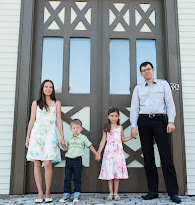 I am trying every day to be greener and more conscious of what my family is exposed to on a daily basis. You write about very important, very pertinent topics and I appreciate that more than you know! I've learned so much from your blog that I can't even really express it in words. And to preface my comment below, I consider myself somewhat "crunchy"- I use cloth diapers, I prefer organic and whole foods, I use glass instead of plastic, etc, etc. On the topic of vaccines, I found this post one-sided. I used to work as a communicable disease control and prevention nurse. (It's a fancy way of saying I investigated infectious disease cases/outbreaks, which included many diseases for which there are vaccines.) I agree with you 100% that parents need to do their homework when it comes to health decisions for their family- vaccines included. But choosing not to vaccinate a child is not always risk-free. Because of my job, I know firsthand the devastation that some of these vaccine-preventable diseases can cause. Some, admittedly, are worse than others. I can't tell you how many families I've had to speak to who just lost a child or other family member due to something that might have been preventable. 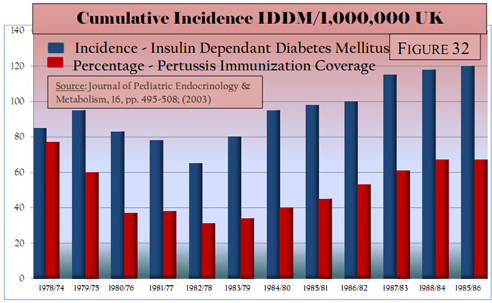 Note I say "might" have been preventable- we all know vaccines aren't always effective. But the vast majority of cases I investigated were in unvaccinated people. I acknowledge that vaccines are not completely safe. 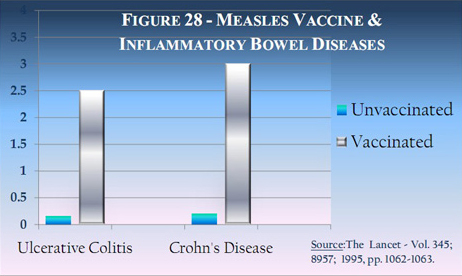 If they were, there would be no need for VAERS, much less the National Vaccine Injury Compensation Program. As a parent myself, I can't imagine the grief of having a healthy child have a severe and irreversible reaction to a vaccine. But before someone looks at whether or not to vaccinate, I hope they look at both the risks and benefits. We are very fortunate to live in a country where many infections diseases are not an issue but I worry that this could change with the way the world works nowadays. This is a difficult topic because in some ways, it doesn't just affect the unvaccinated child. Many people can't and shouldn't receive vaccines for various reasons. And for others, the vaccines simply don't work and they are relying on the people around them to protect them from some of these diseases. It's different than a lot of other choices we make for our children. For example, I'm probably not hurting the people around me by using glass instead of plastic, or by buying whole foods instead of processed stuff. Thank you so much for your comment Keara and I'm so glad to have you as a reader! I appreciate you sharing your thoughts. I didn't really set out to provide a completely unbiased source of information because as I mentioned in the beginning of the article, much of the pro-vaccine studies are government and manufacturer sponsored. So inherently they are biased and 'paid for'. Which is troubling because it means all medical professionals are educated based on this information, which can be easily tweaked in favor of vaccines when there is so much profit at stake (I mean before it even gets into textbooks). 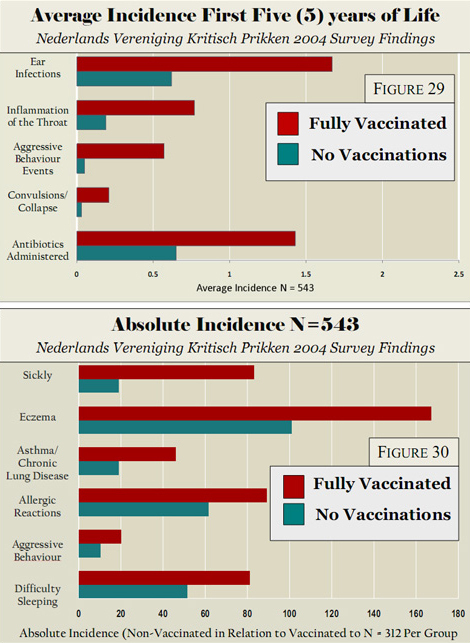 "That vaccine-induced herd immunity is mostly myth can be proven quite simply. When I was in medical school, we were taught that all of the childhood vaccines lasted a lifetime. This thinking existed for over 70 years. It was not until relatively recently that it was discovered that most of these vaccines lost their effectiveness 2 to 10 years after being given. What this means is that at least half the population, that is the baby boomers, have had no vaccine-induced immunity against any of these diseases for which they had been vaccinated very early in life. In essence, at least 50% or more of the population was unprotected for decades." I do understand that some medical professionals truly want what is best, they want people to be healthy. But all the information that their vaccine education is based on is very much one-sided. There are so many unknowns with vaccines, from contamination with unknown viruses and mutations, to zero proof that all the additives and adjuvants are truly safe, and much more beyond that. Moreover, many know more than we do about vaccines, but do not speak out for fear of loosing their careers that they've worked their whole lives for. I just have a hard time covering 'both sides' when I am aware of the huge conflict of interest with CDC and vaccine manufacturers. There have been many, many things over the years that doctors have endorsed and recommended, only for it to later be discovered to cause horrific long term side effects or other health issues. It takes a long time for medical 'truths' to become obsolete. Will vaccines follow the same route? I don't know, I doubt it because there is too much at stake here for vaccine manufacturers. I wish I had answers, but I admit my post is really an attempt at starting a conversation and getting parents to think. It bothers me when people don't question anything around them. It's great that you are trying to make healthier choices for your family! Truth is, many people don't care. As a nation there is a troubling trend of caring more about the next TV show or the next electronic gadget and being completely complacent about what we nourish our bodies with, where this nation is going, what our government is, or isn't doing, etc.